Framing the skyscrapers of Honolulu, the outline of Diamond Head is a readily identifiable landmark, recognized as a U.S. National Natural Monument in 1968. It’s a volcanic tuft cone know to the locals as Le’ahi; the name “Diamond Head” was bestowed by 19th century British sailors who thought the calcite crystals on the adjoining beach were diamonds. Diamond Head State Monument encompasses over 475 acres, including the interior and outer slopes of the crater. An average of 3,000 people visit the crater every day, making it one of the most visited sites in Hawaii. 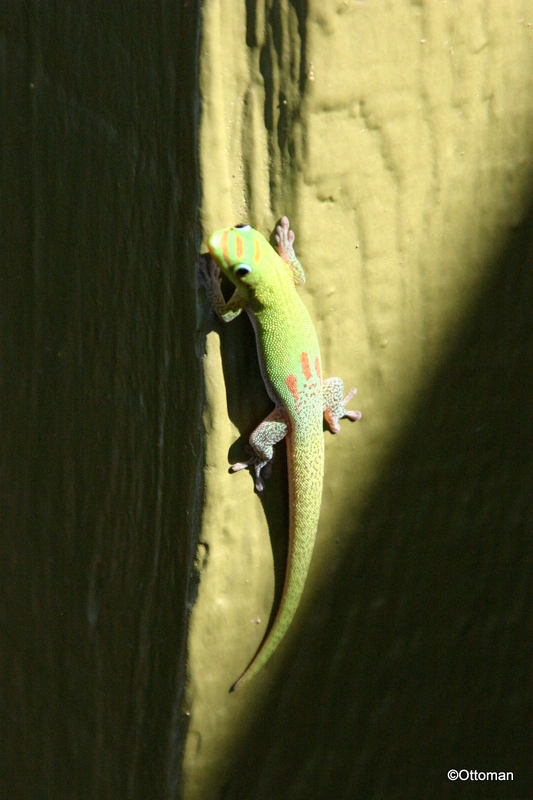 I love visiting the Big Island, my favorite of the Hawaiian Islands. I think the main reasons are because of its active volcanoes and large stretches of undeveloped land. The volcanoes especially fascinate me and draw me to see them again and again. It’s because of its volcanoes that Big Island has so many black sand beaches — black sand is only formed by the breakdown of lava rock, often when hot lava encounters the ocean, solidifies, then shatters in the powerful surf. 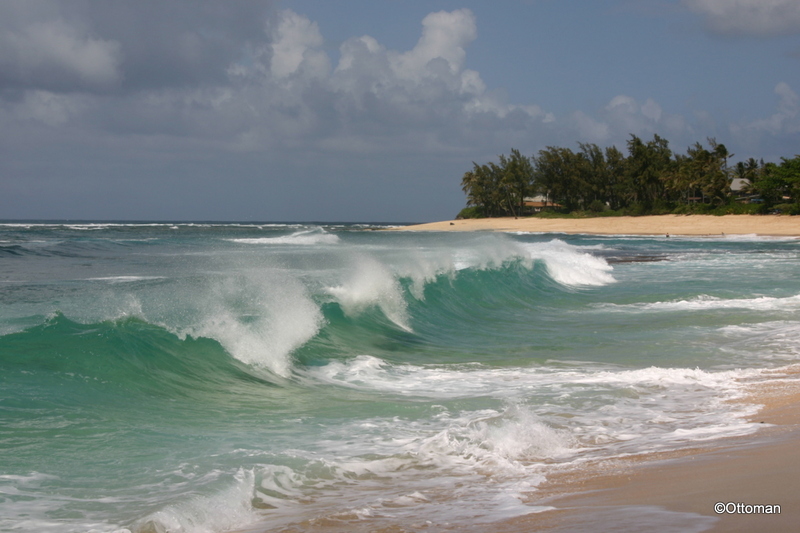 White sand generally is due to the breakdown of shells, corals, and other organic matter. Pearl Harbor is on the beautiful island of Oahu, Hawaii, not far from Honolulu, and is still a functioning naval base. But it will always be best known as the site of the Japanese attack on the USA that drew the United States into World War II. 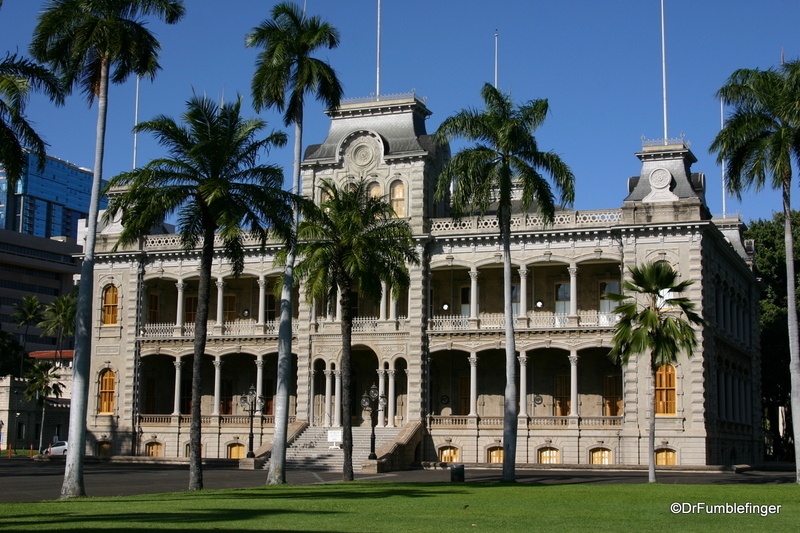 One of the few highlights of old Hawaii still remaining in Honolulu is Iolani Palace. 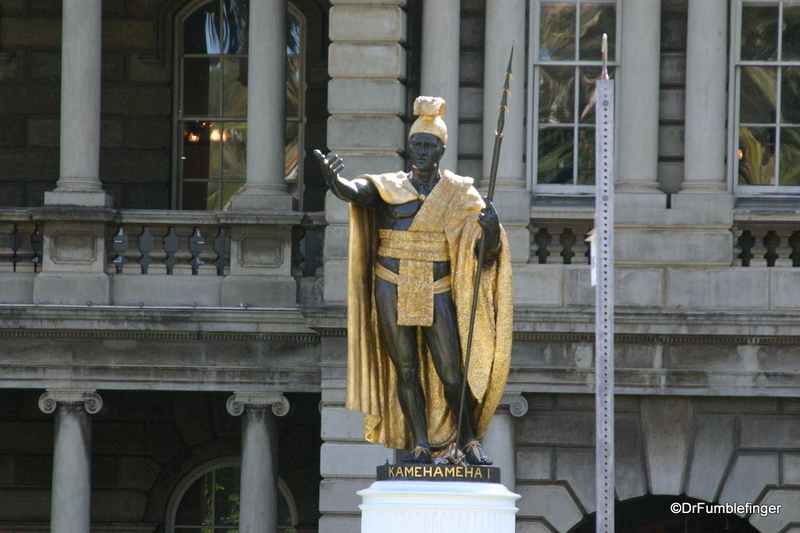 The palace was built in the 19th century as the royal residence of the rulers of Hawaii, beginning with King Kamehameha, ending with Queen Lili’uokalani (1893). 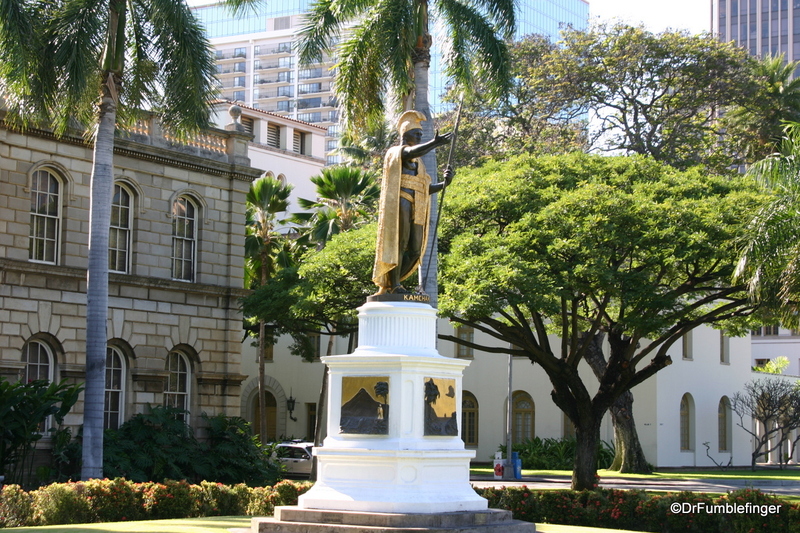 The building is known for its Hawaiian renaissance architecture and a quality statue of King Kamehameha which sits by the road in front of the Palace. The site is now open to the public as a museum. Of interest, it is the only royal palace in the United States. 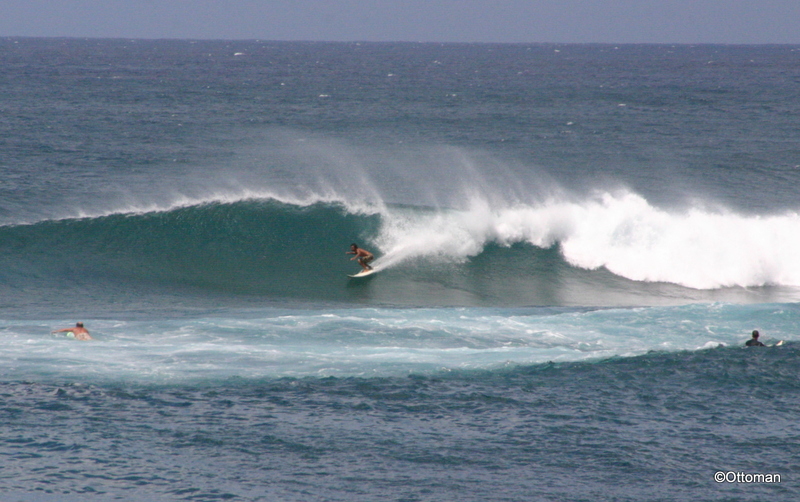 One of the best places to surf in the world is Oahu, especially along it’s North Shore. 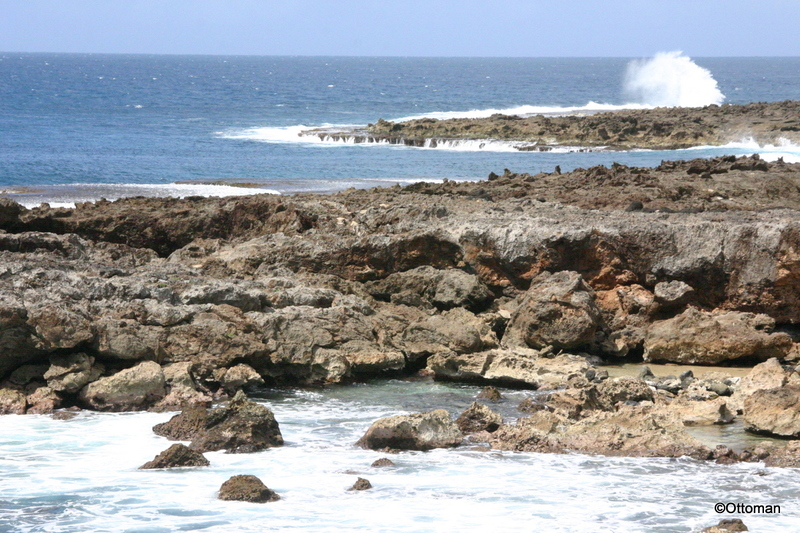 The water here is normally rough, with waves of 2 meters being common. But on rare occasions, when the weather and currents are just right, gigantic waves can form sometimes exceeding 6 – 7 meters tall. 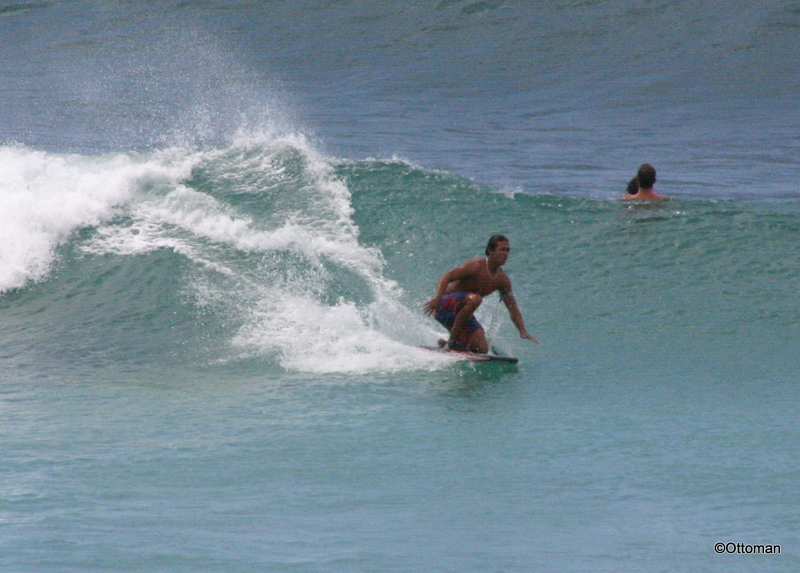 It takes a special breed to face those dangerous giants, but daredevil surfers come from around the world to ride them. The history of Hawaii’s development over the past two centuries largely centered around agriculture, especially of sugar cane and pineapple. Sadly, these crops are not produced much in Hawaii any more (with the exception of sugar cane on Maui and pineapples for local consumption). But the legacy of the old sugar towns lingers and you can see remnants of them when you travel around the islands, like this abandoned sugar mill in Koloa (near the south shore of Kauai). The Royal Hawaiian Hotel was one of the first hotels located on Waikiki Beach in Honolulu, on the island of Oahu. The hotel’s beach offers wonderful views of Waikiki and Diamond Head, the island’s extinct, iconic volcanic crater. It is one of the few ‘older’ places in a city that has exploded with new devlopment in the past half century. You’ll find the Dole Plantation on the drive from Honolulu to Hawaii’s North Shore, about 40 minutes north of Waikiki on the Kamehameha Highway. If you’re staying in Honolulu and want to get “out of the city” for awhile, especially with children, a fun day trip would be to the Dole Plantation, one of the island’s most popular tourist destinations with more than a million visitors a year.